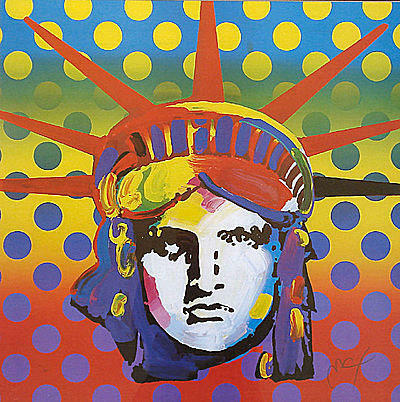 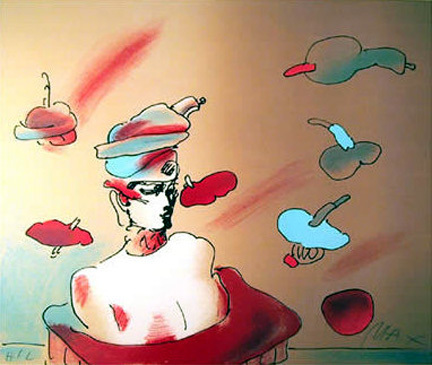 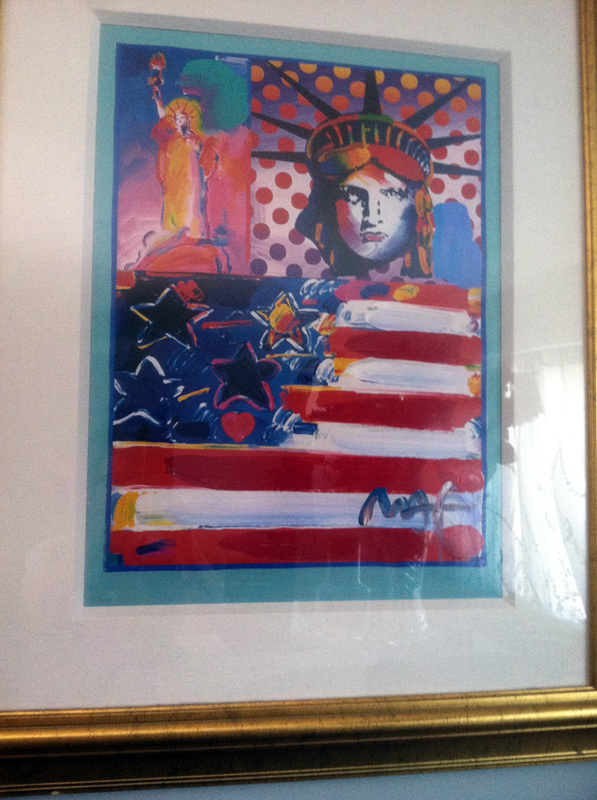 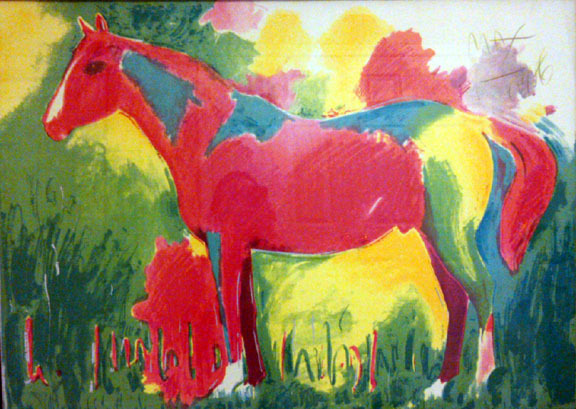 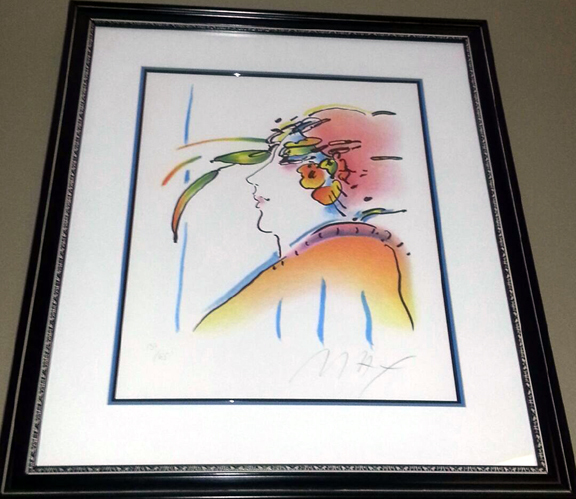 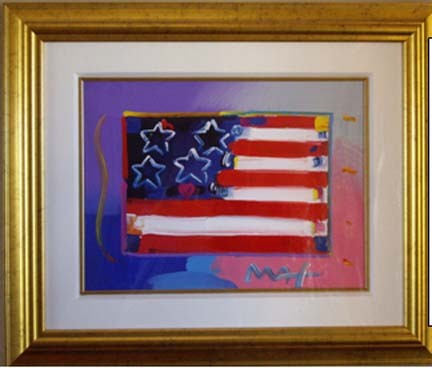 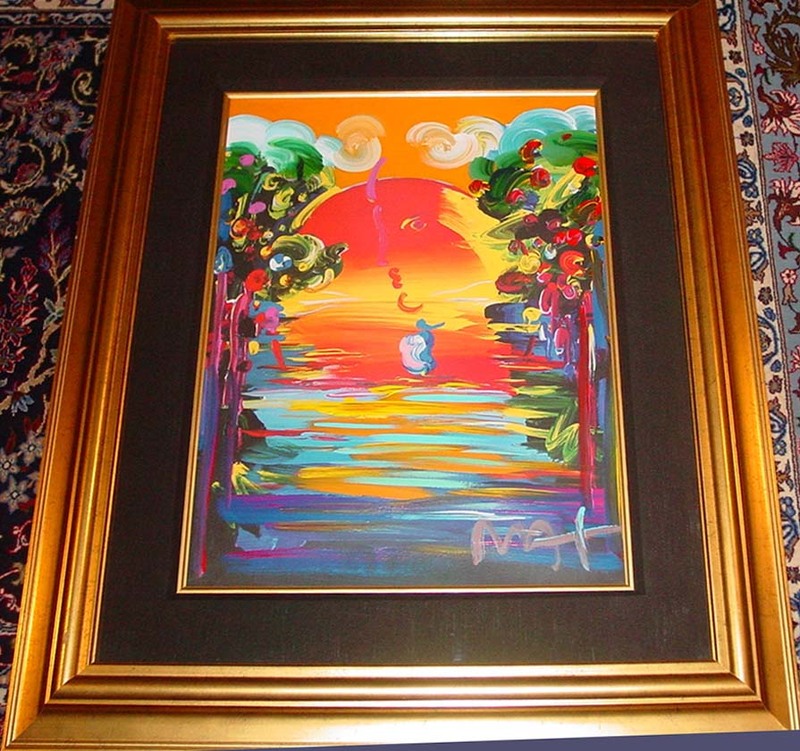 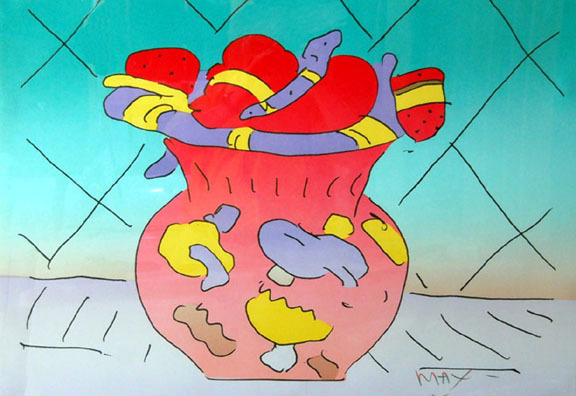 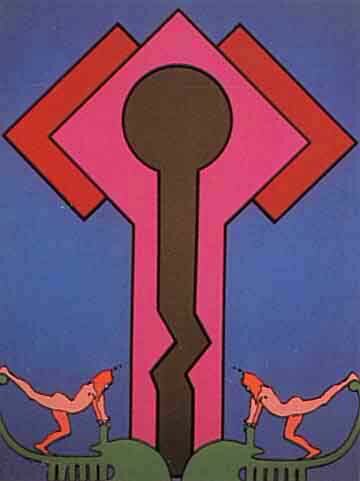 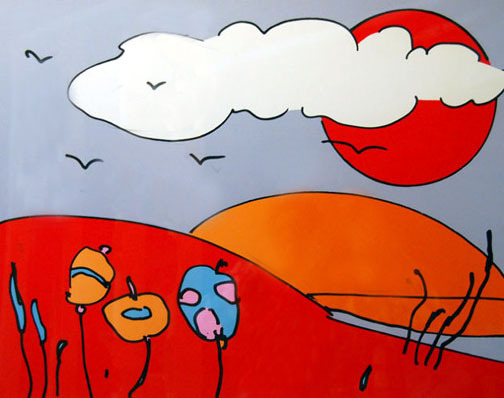 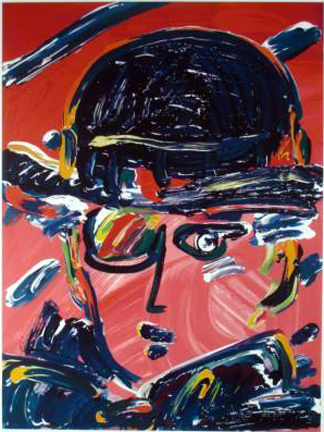 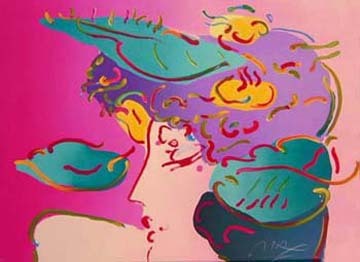 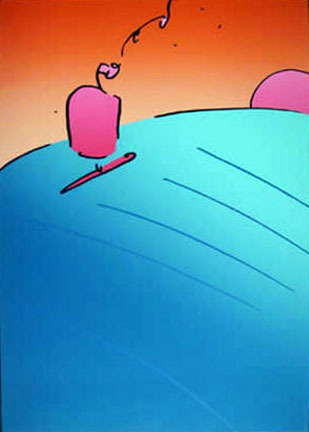 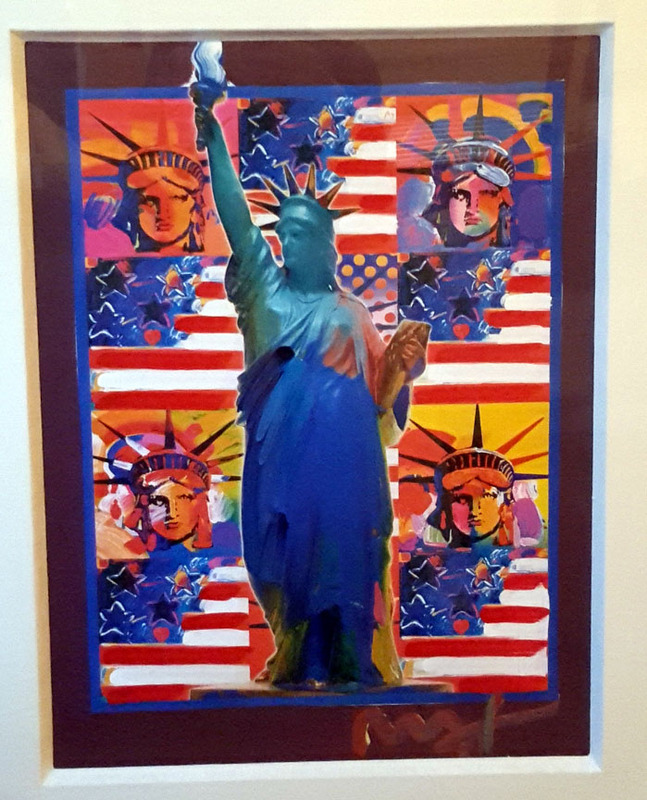 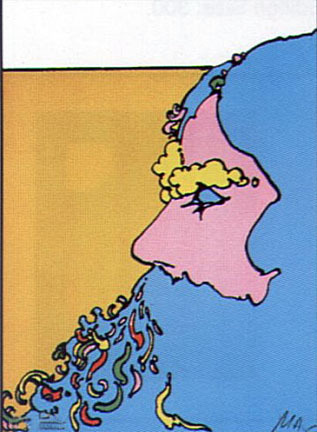 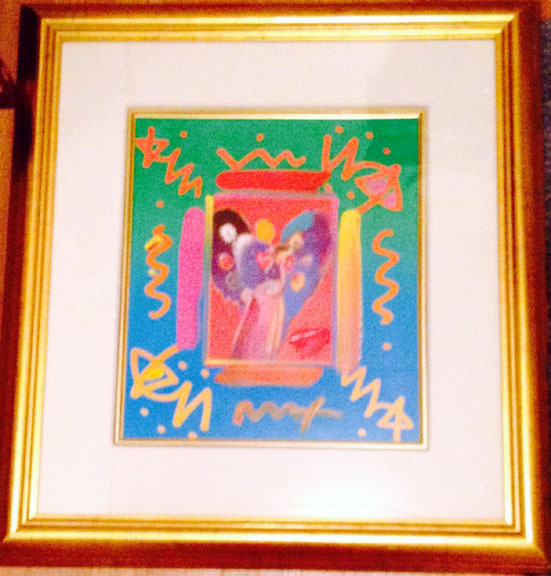 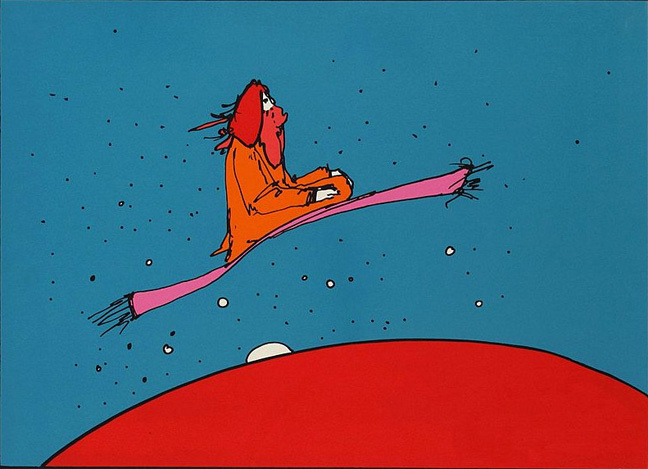 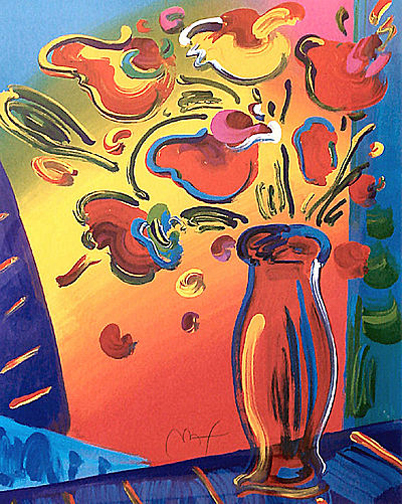 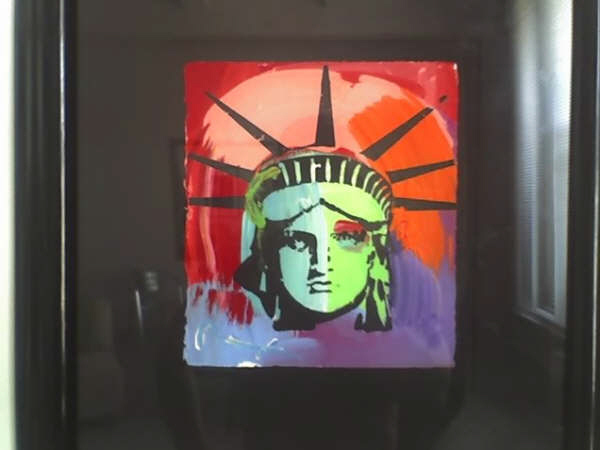 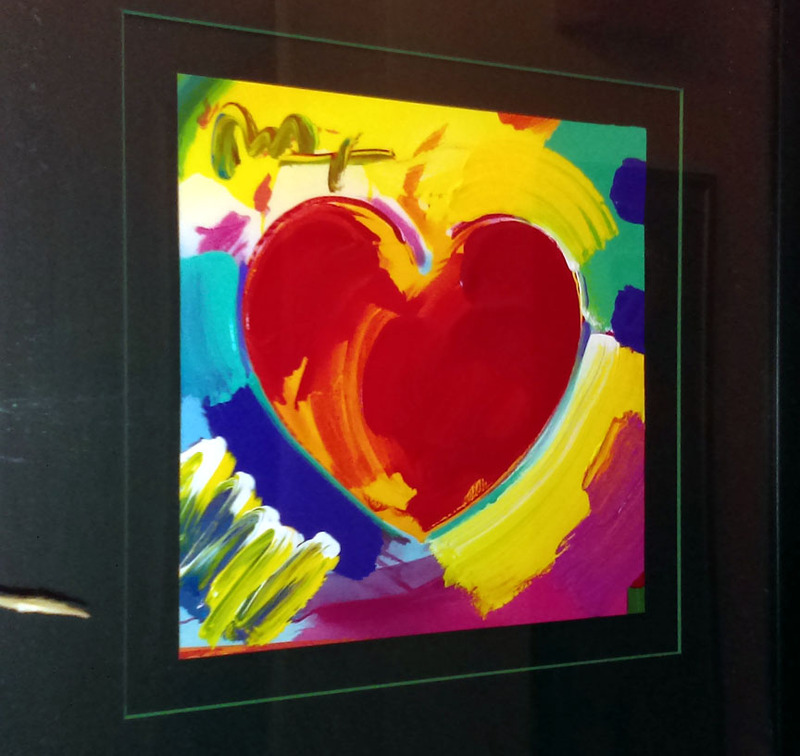 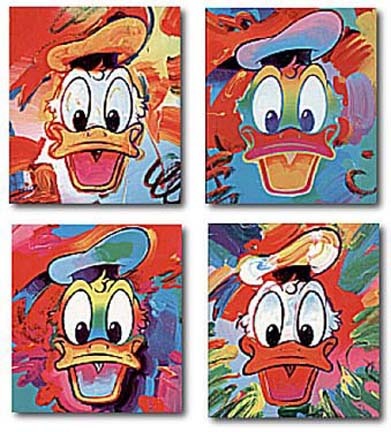 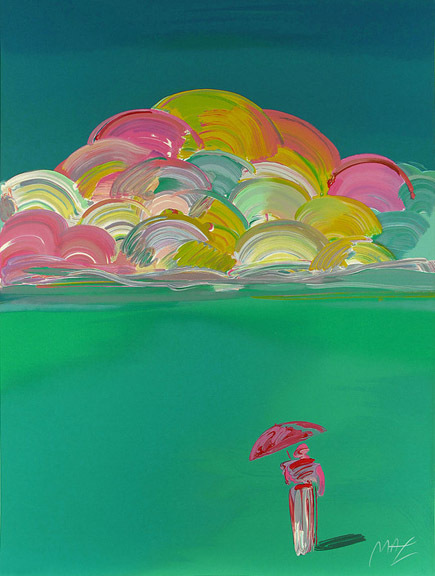 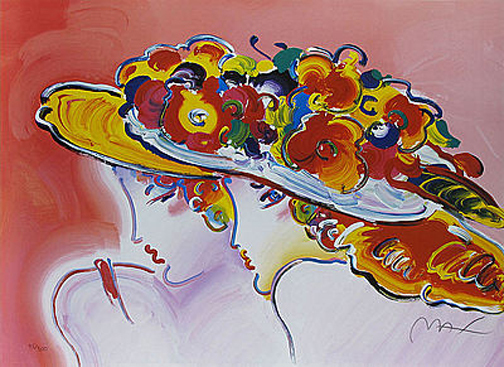 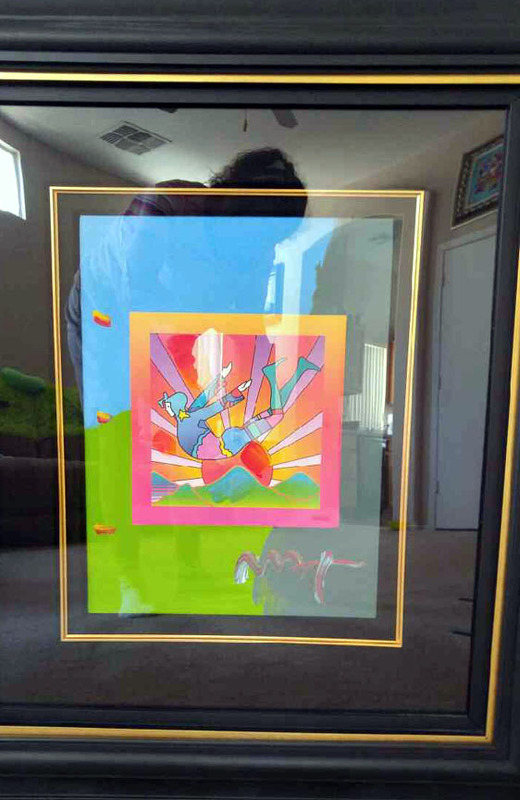 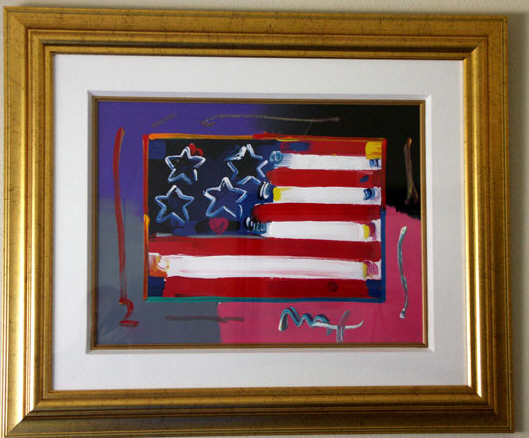 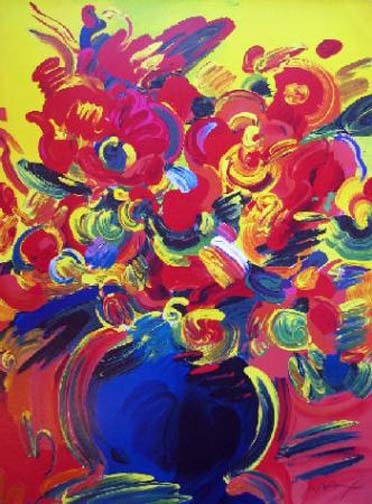 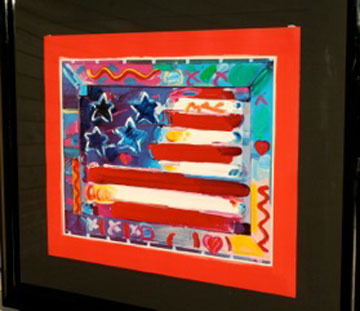 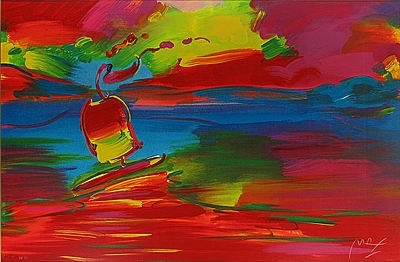 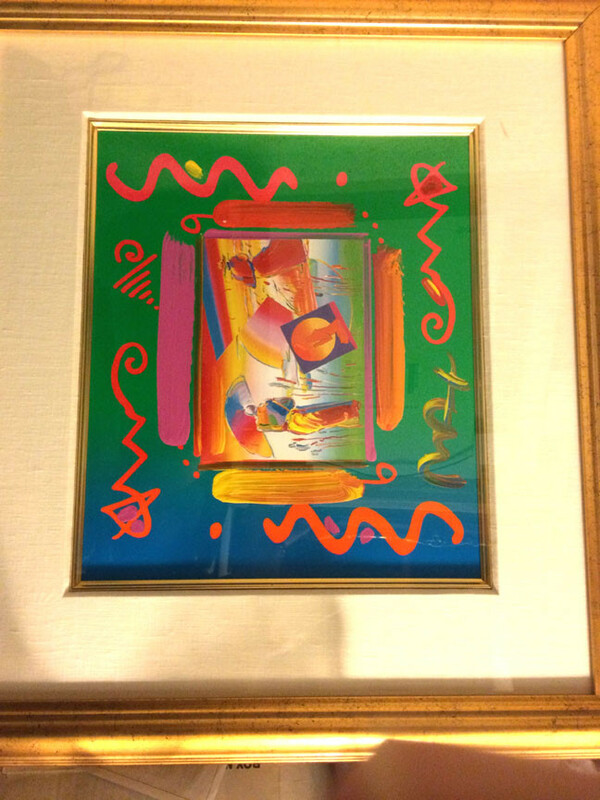 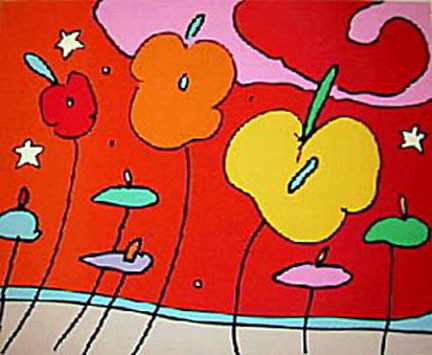 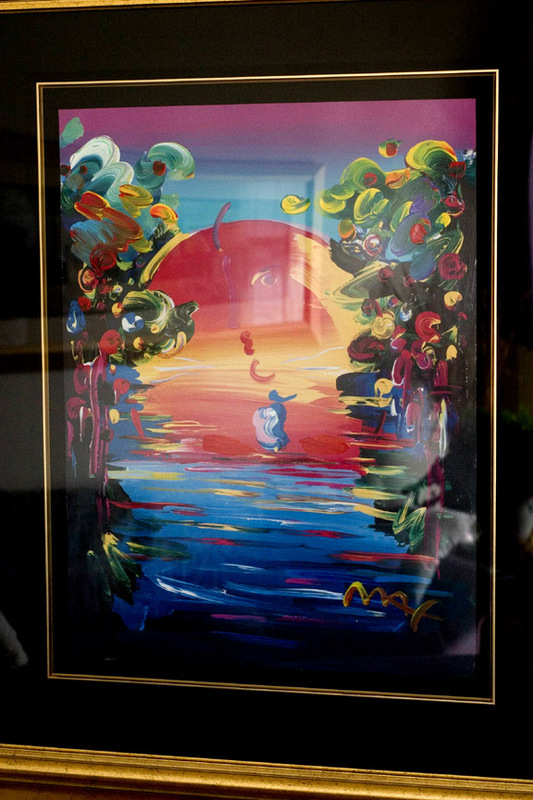 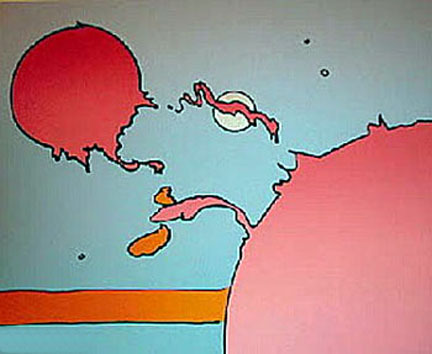 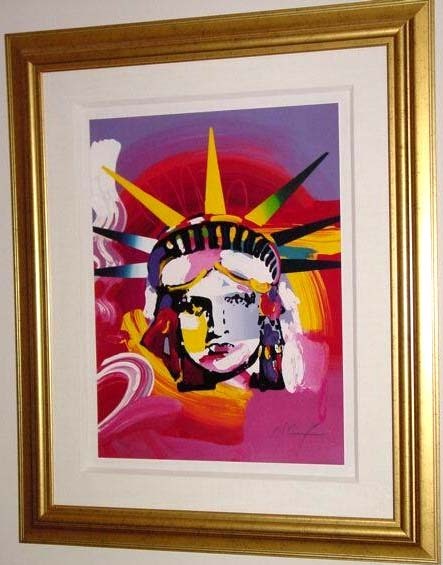 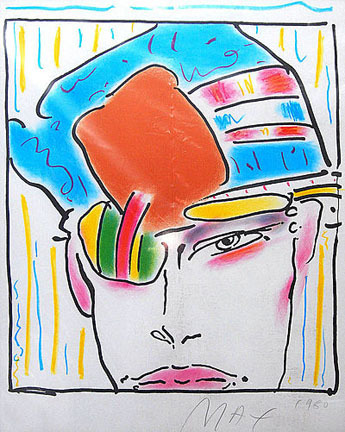 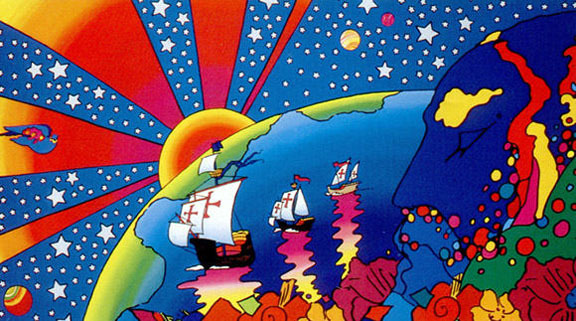 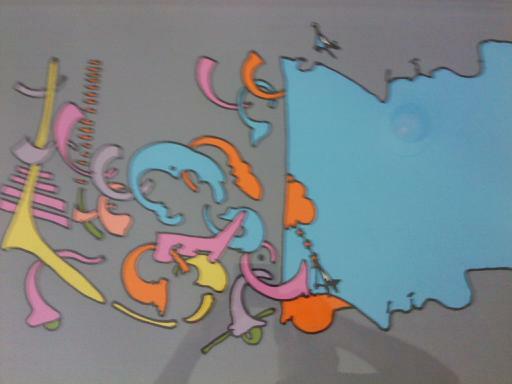 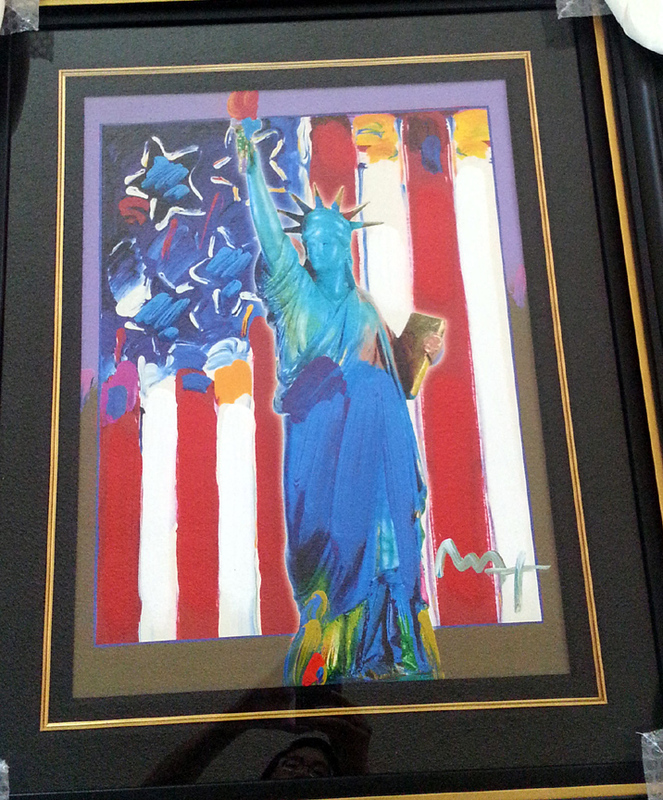 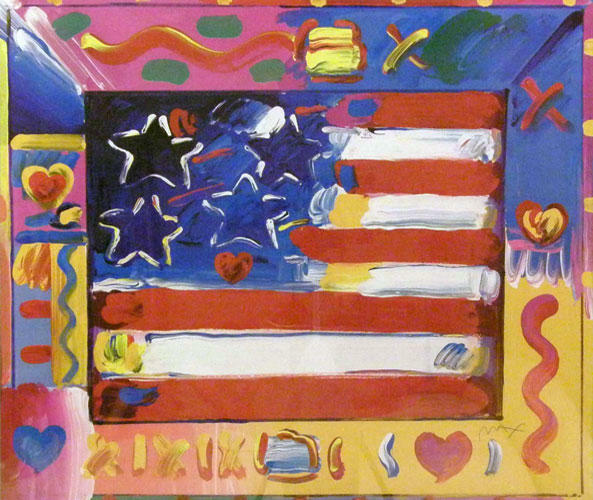 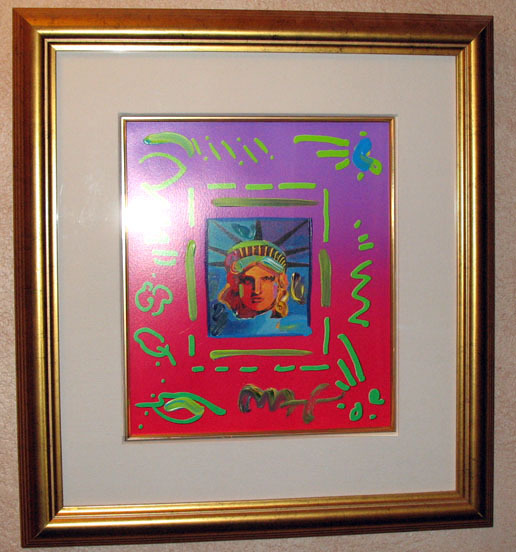 Peter Max is an artist available through Herndon Fine Art. 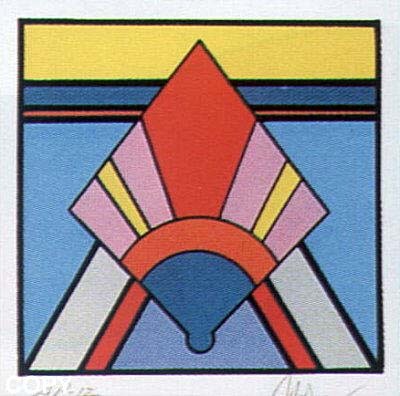 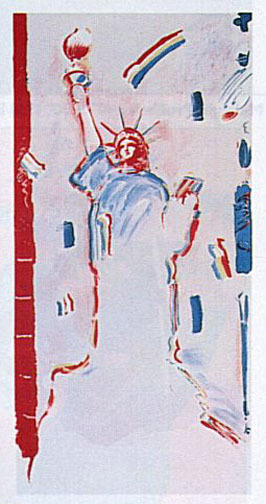 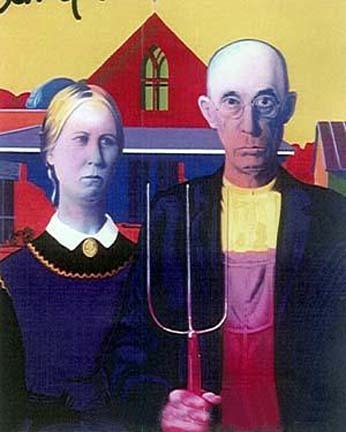 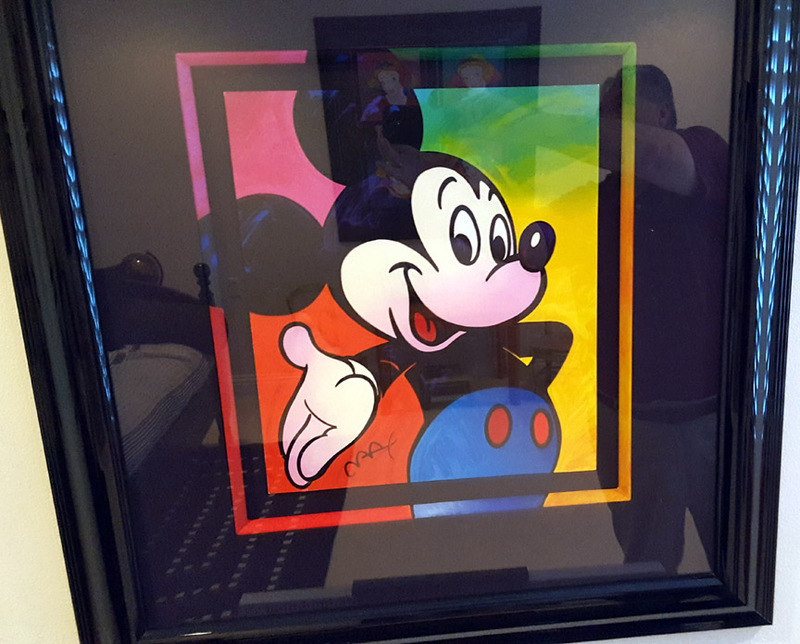 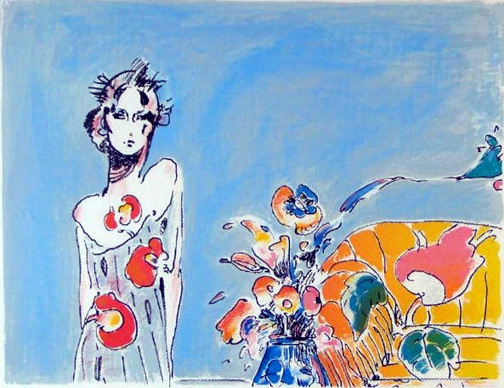 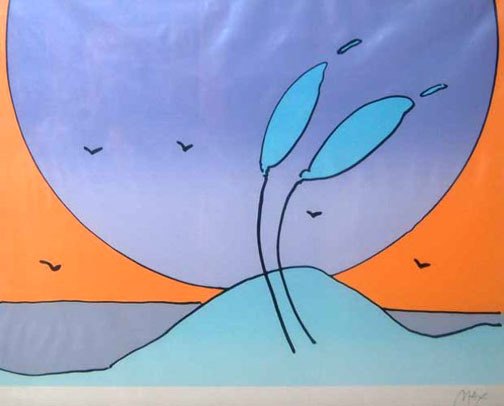 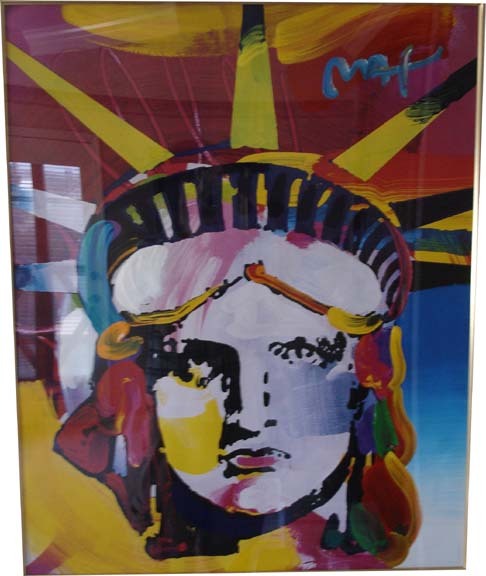 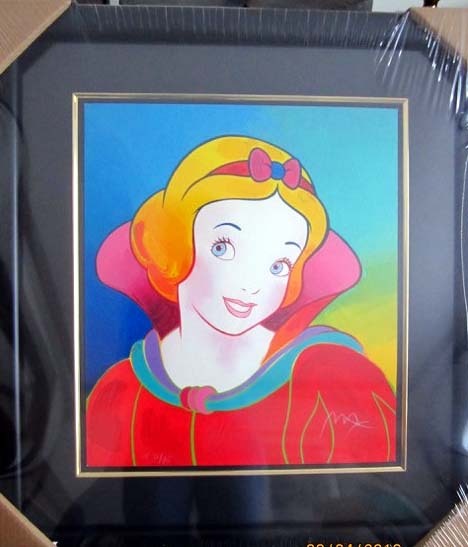 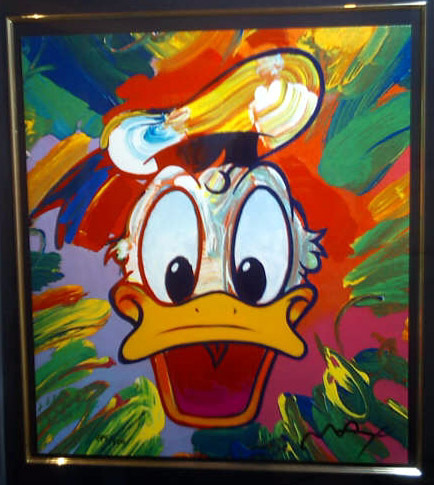 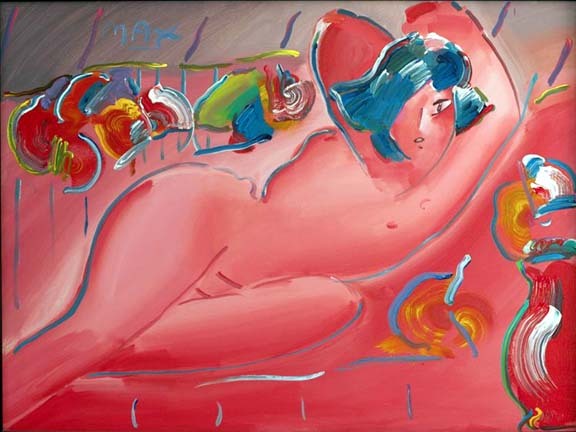 Whether you are interested in buying or selling fine art from Peter Max, you have arrived at an excellent resource to do so. 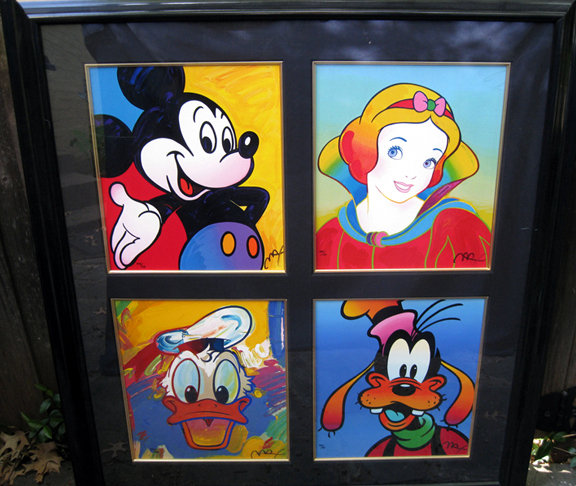 These are just some of the Max's we have available. 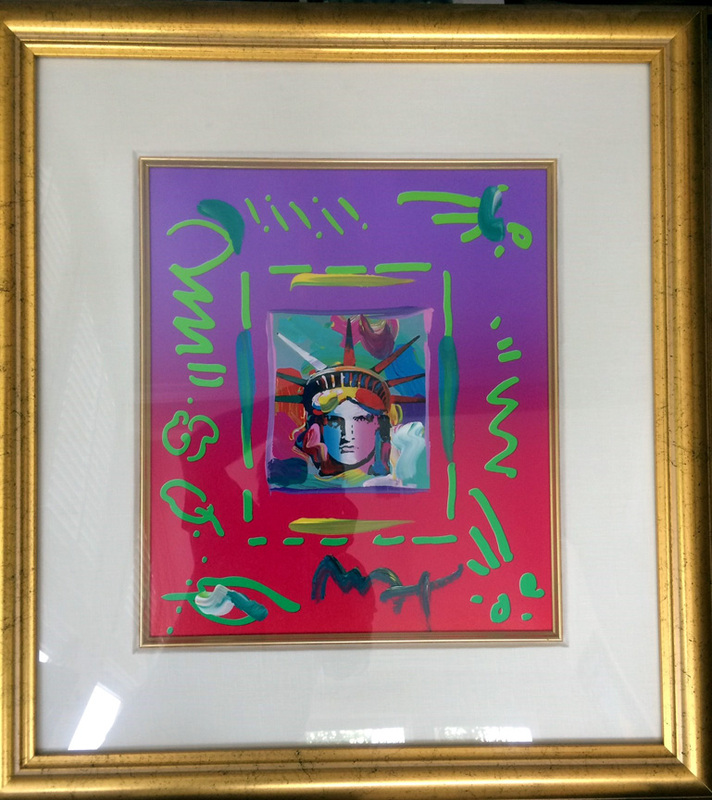 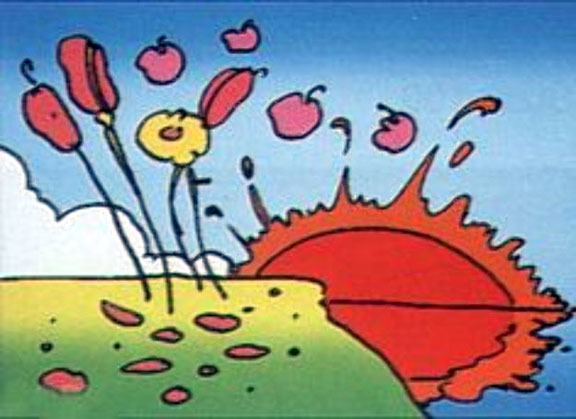 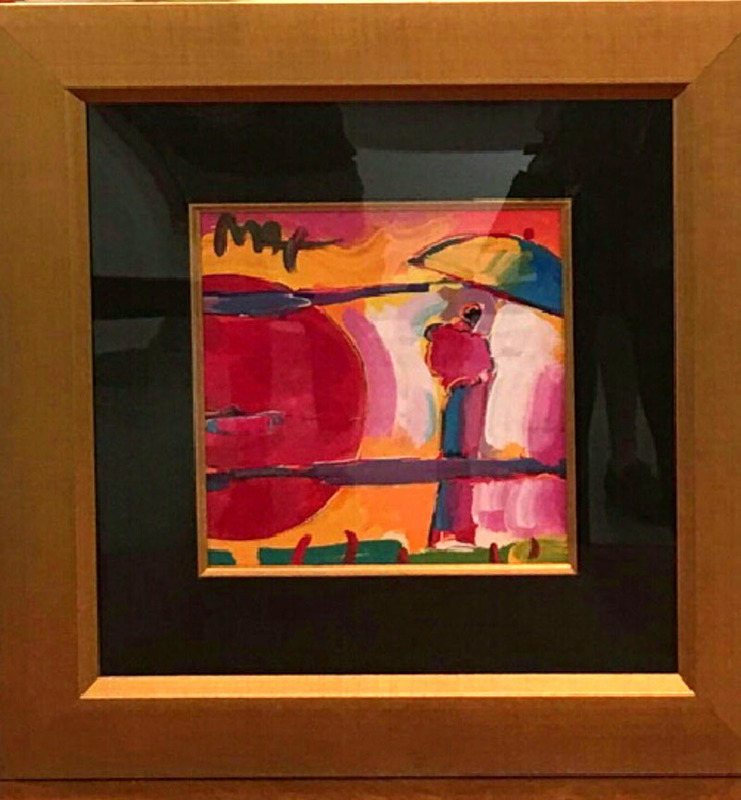 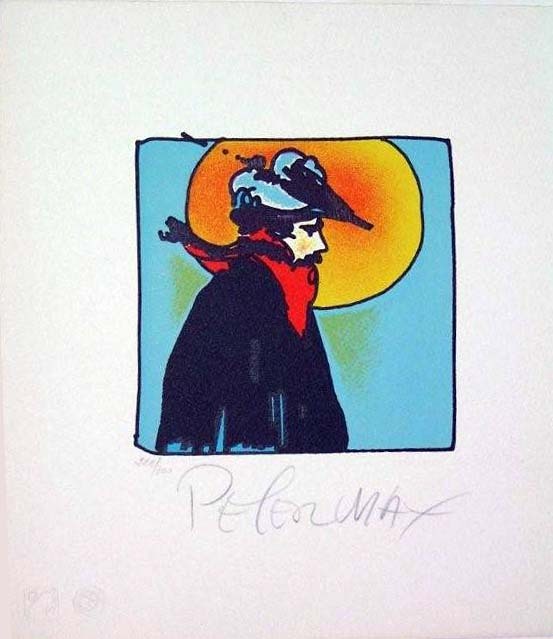 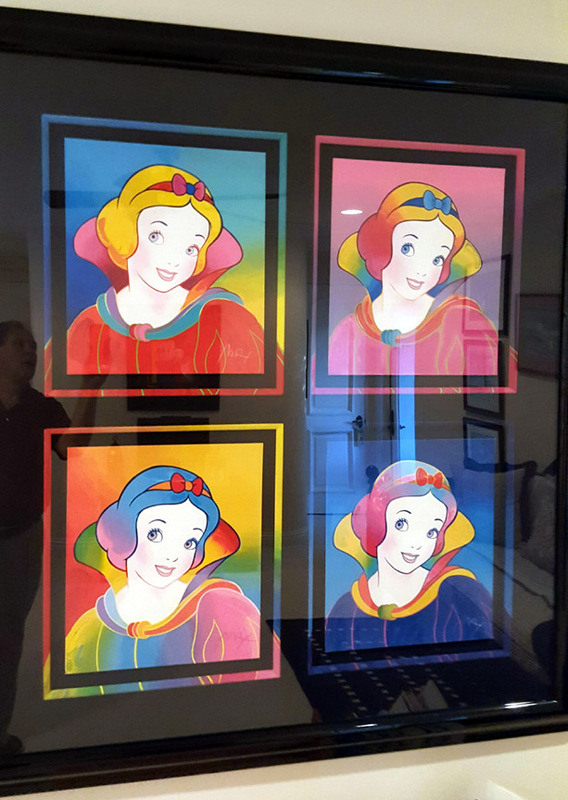 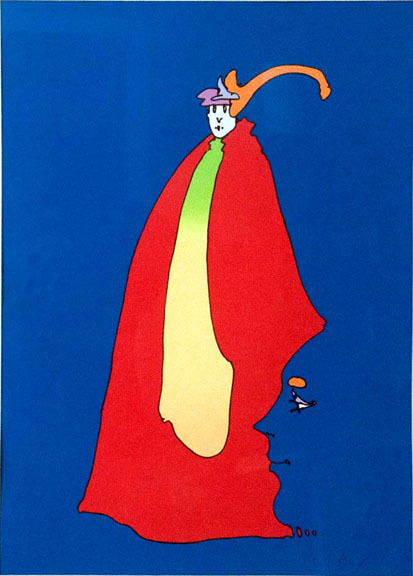 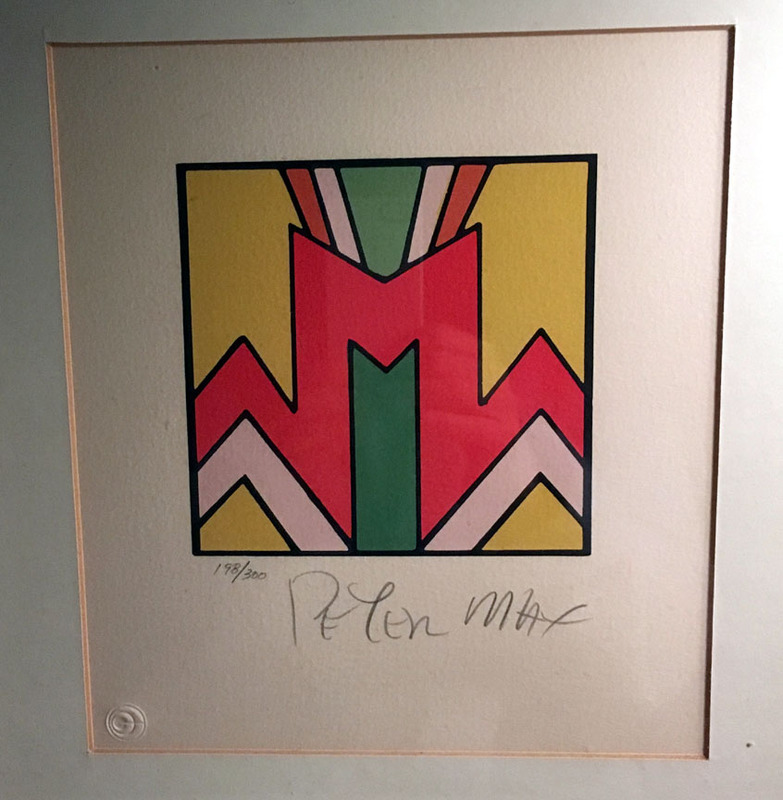 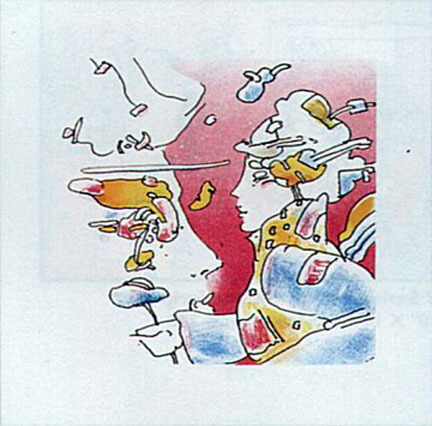 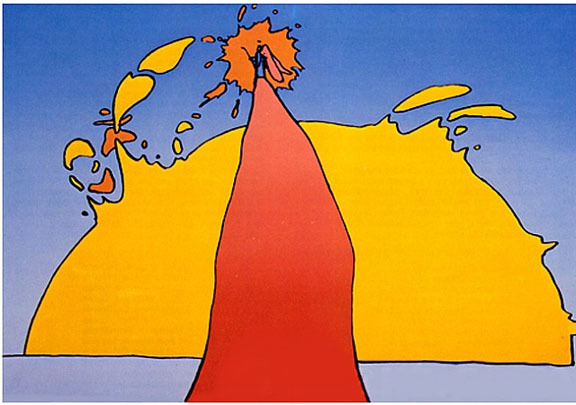 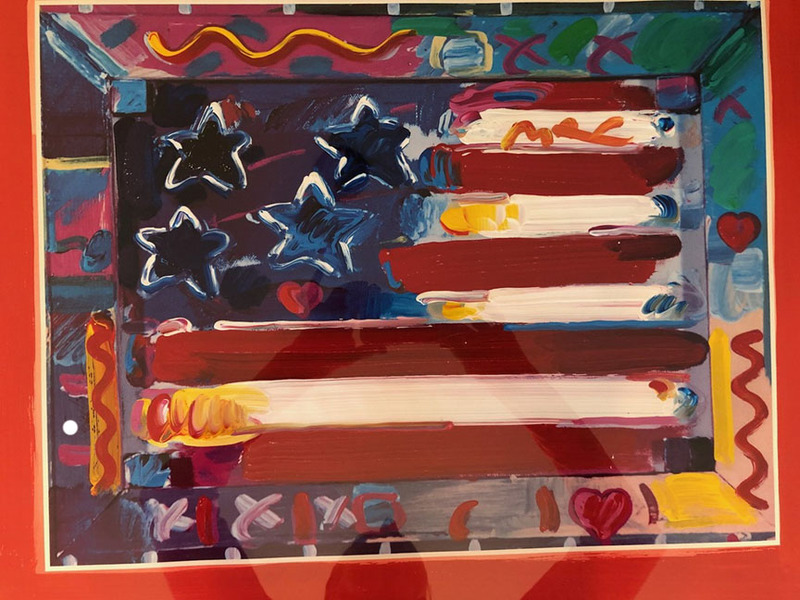 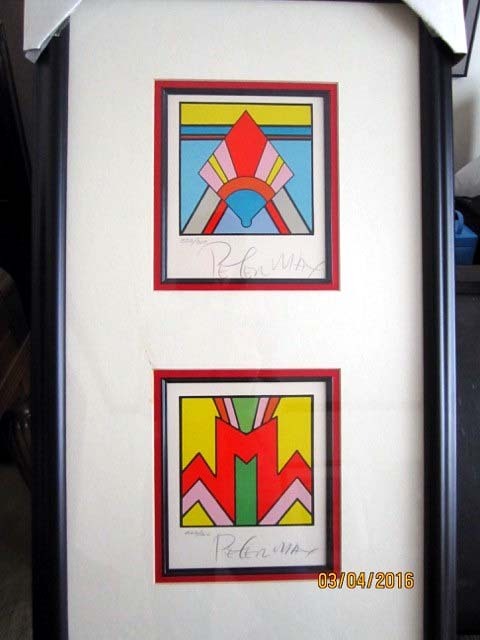 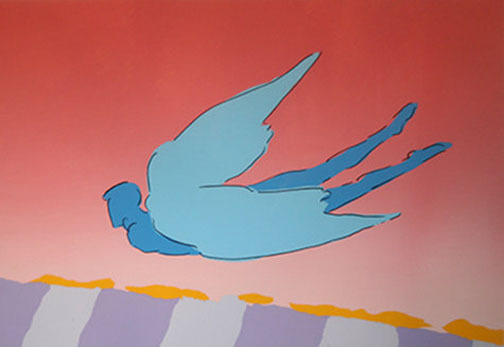 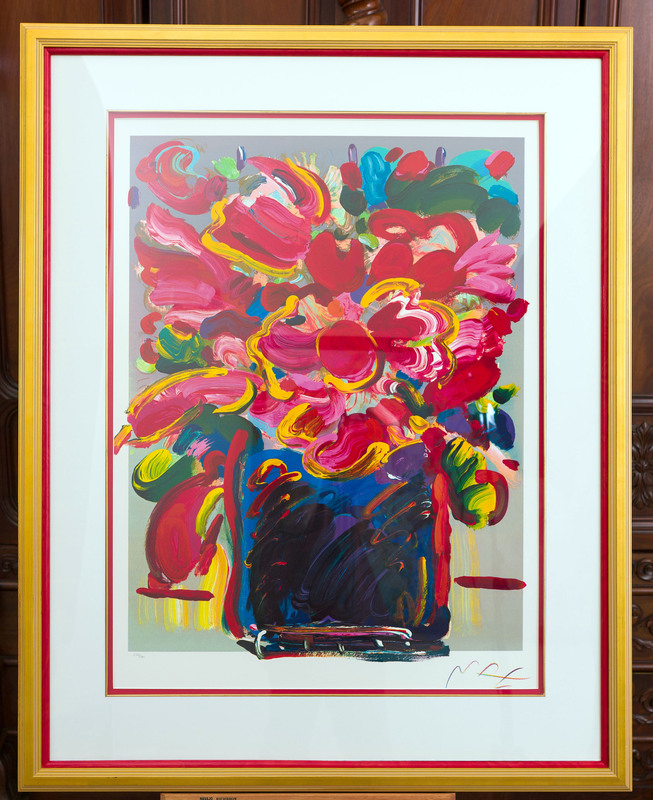 Please call or click here to email us directly for title availability and pricing of Peter Max limited editions, and originals. 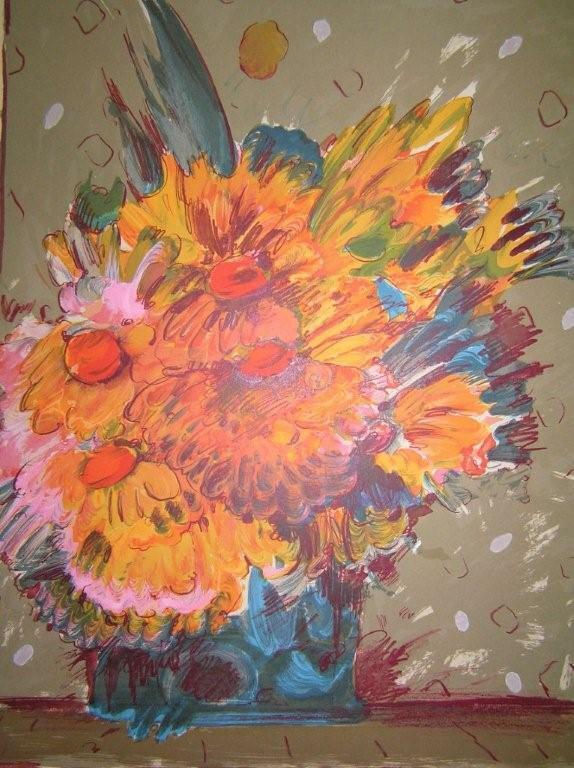 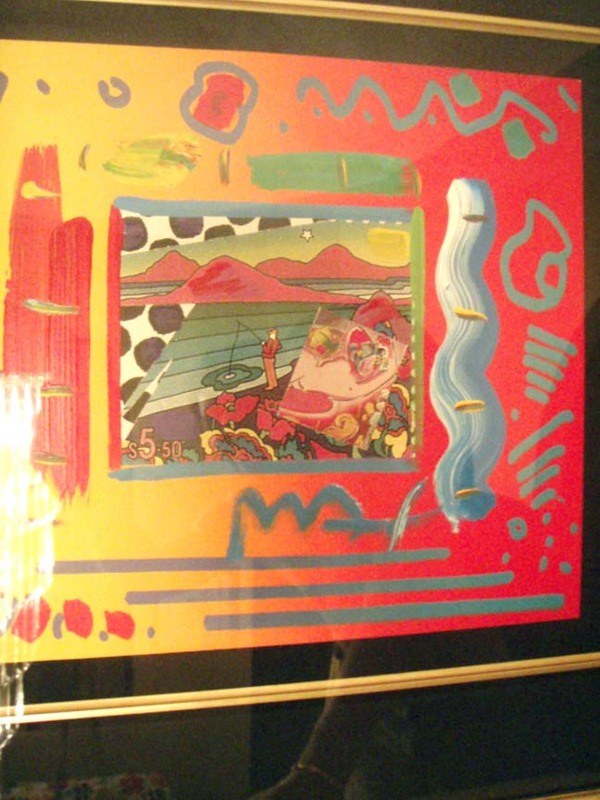 Sheet Size: 40" x 34"
Image Size: 32" x 24 1/2"
Mixed media painting with acrylic and offset. 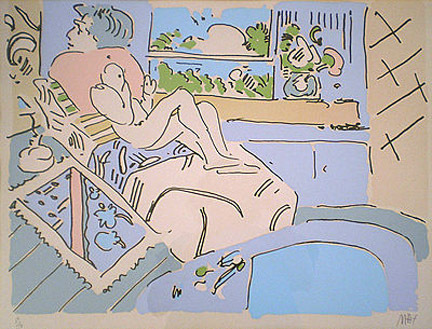 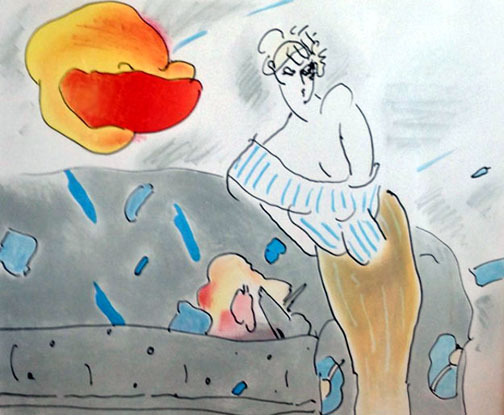 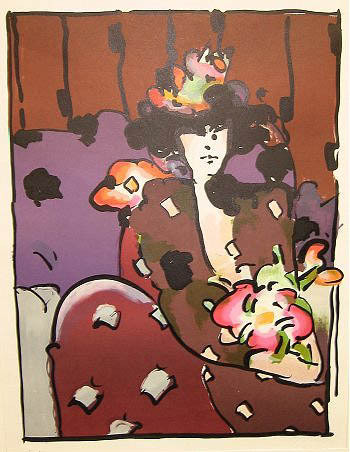 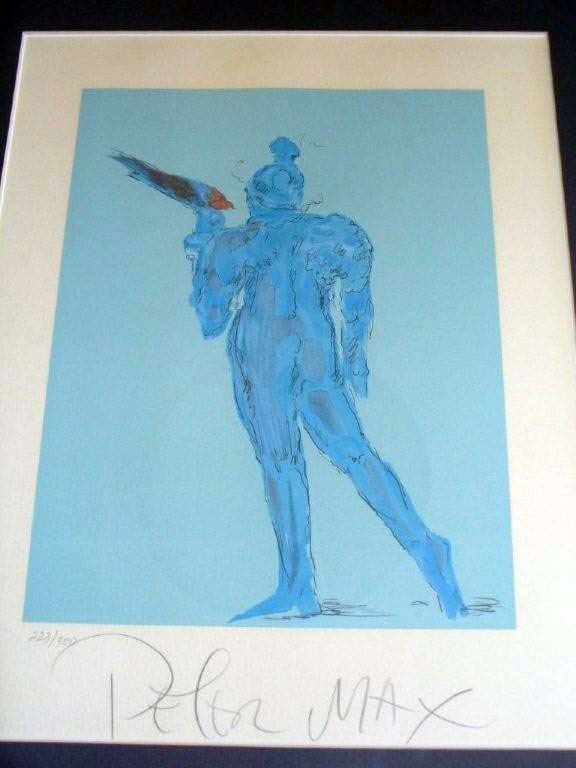 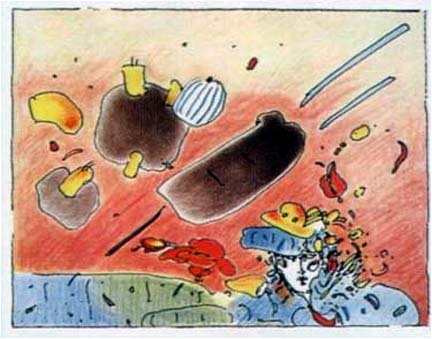 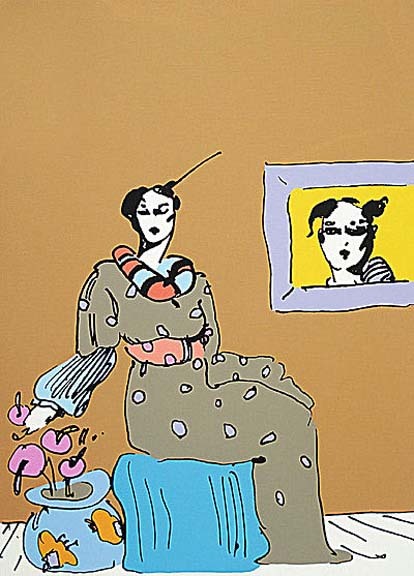 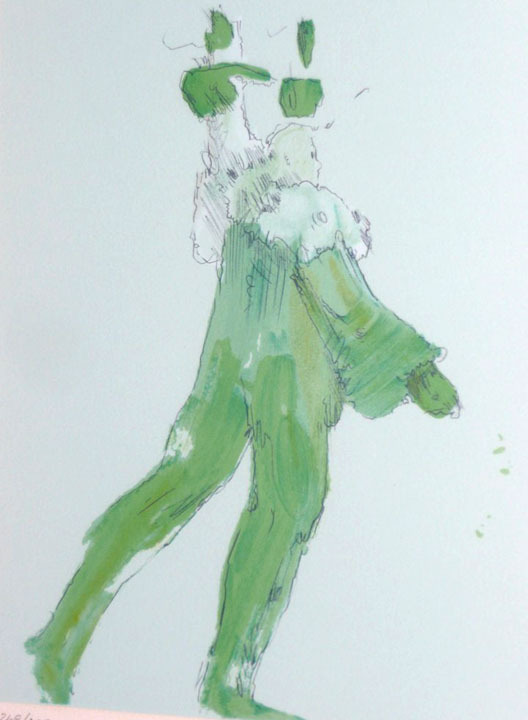 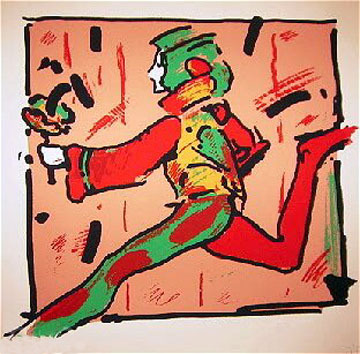 signed lithograph on paper. 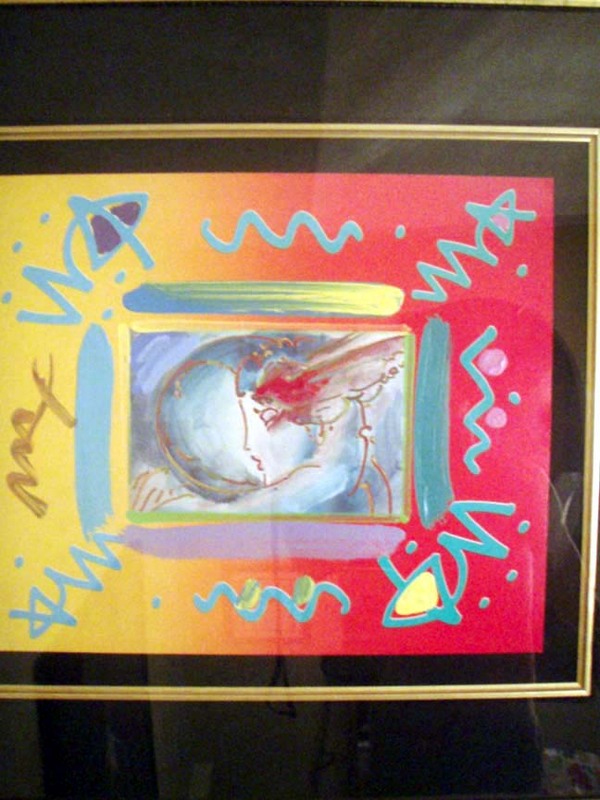 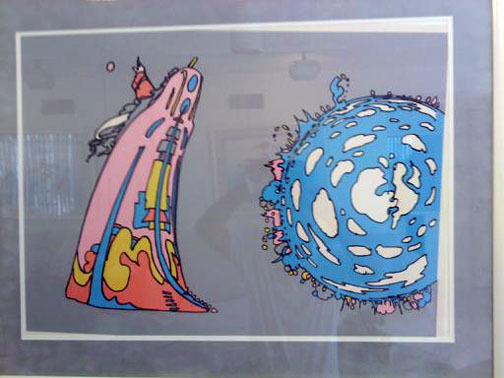 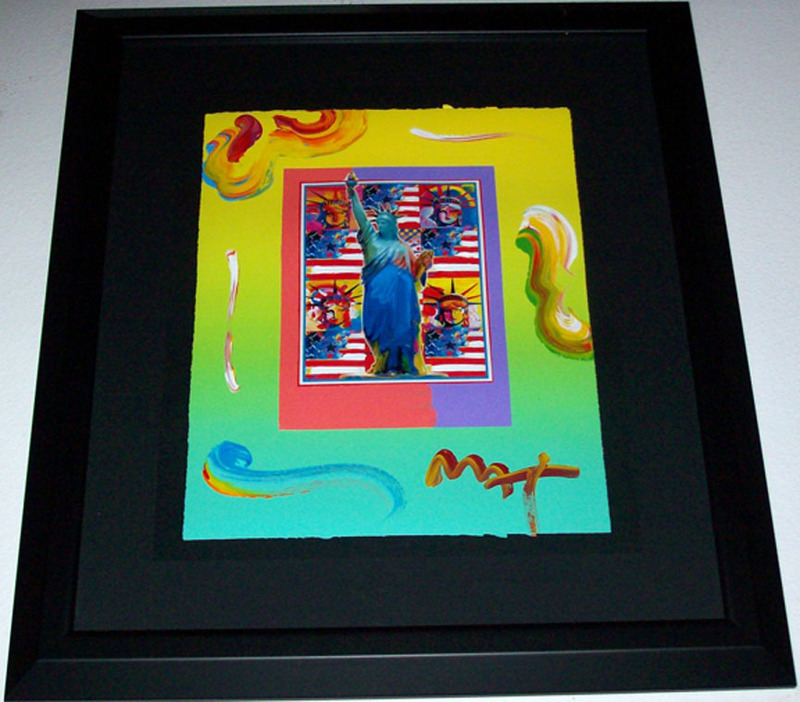 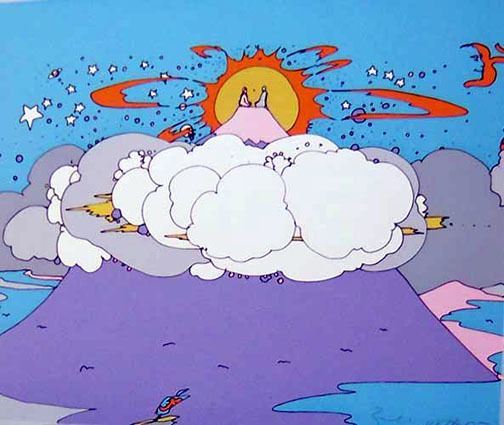 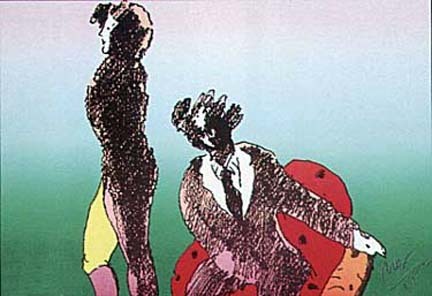 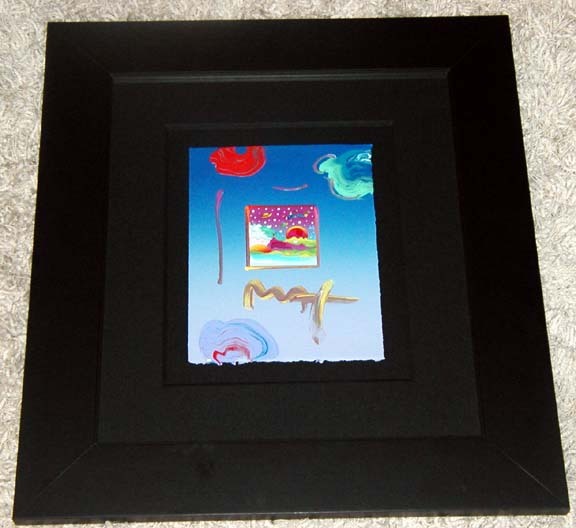 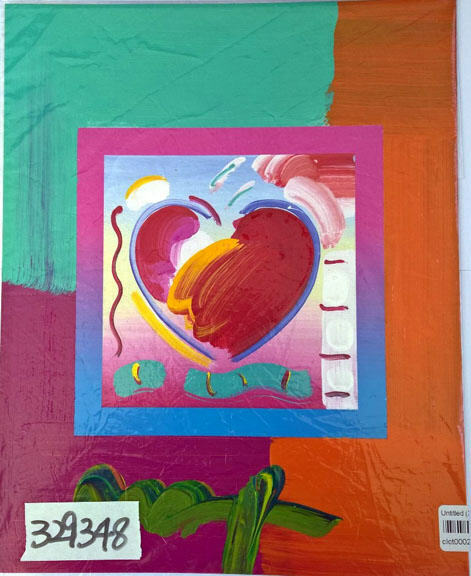 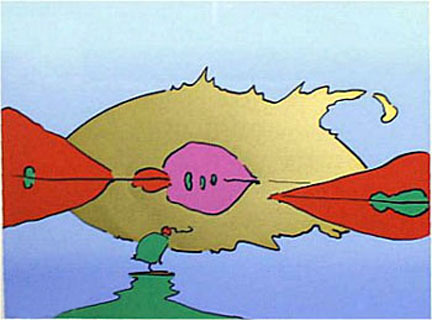 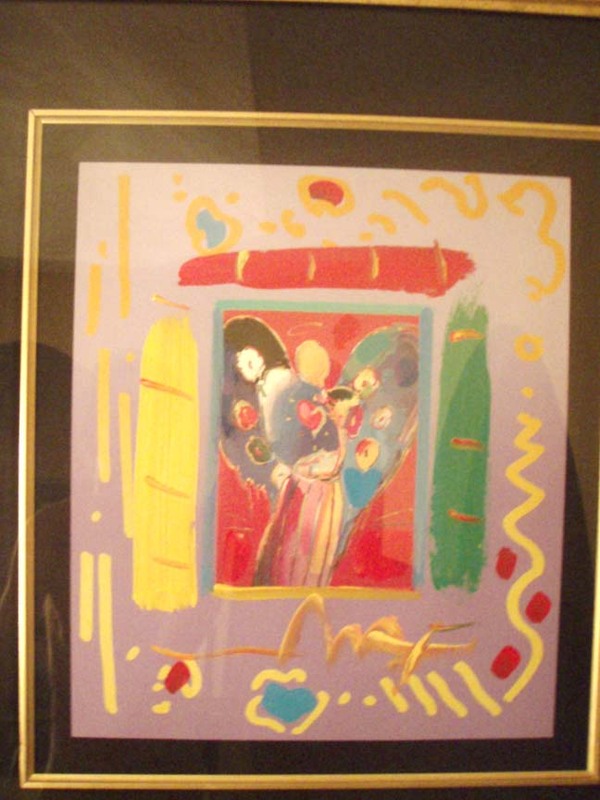 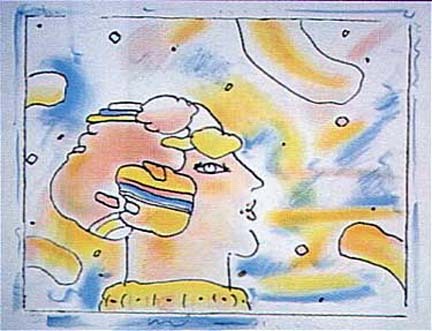 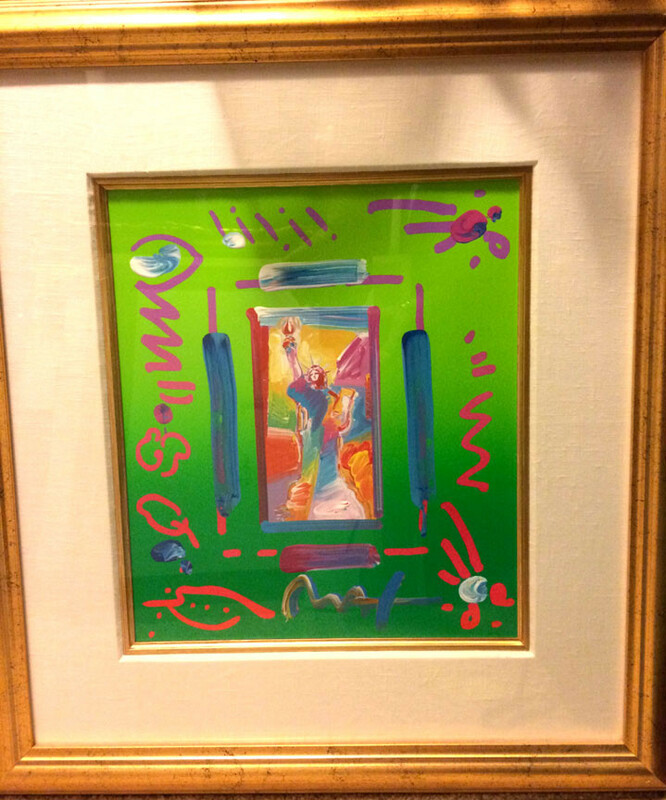 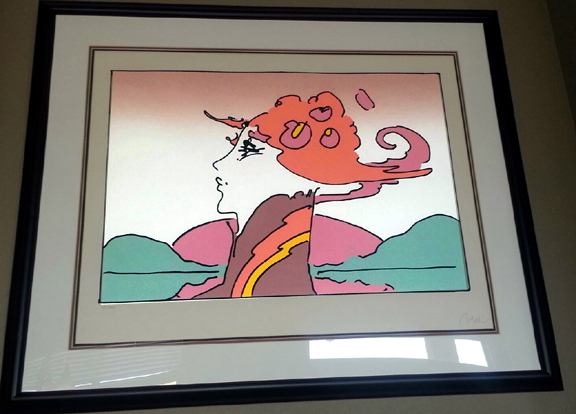 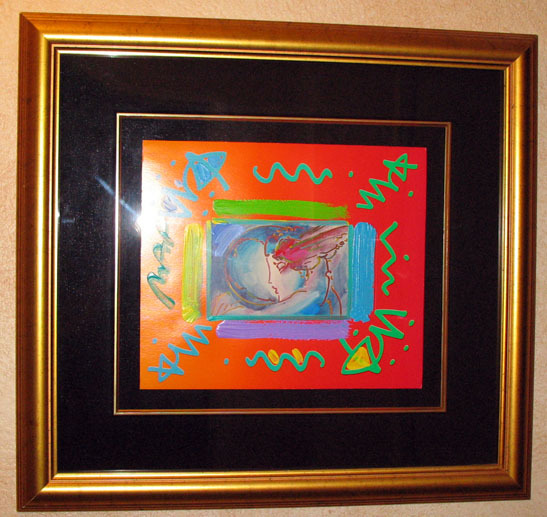 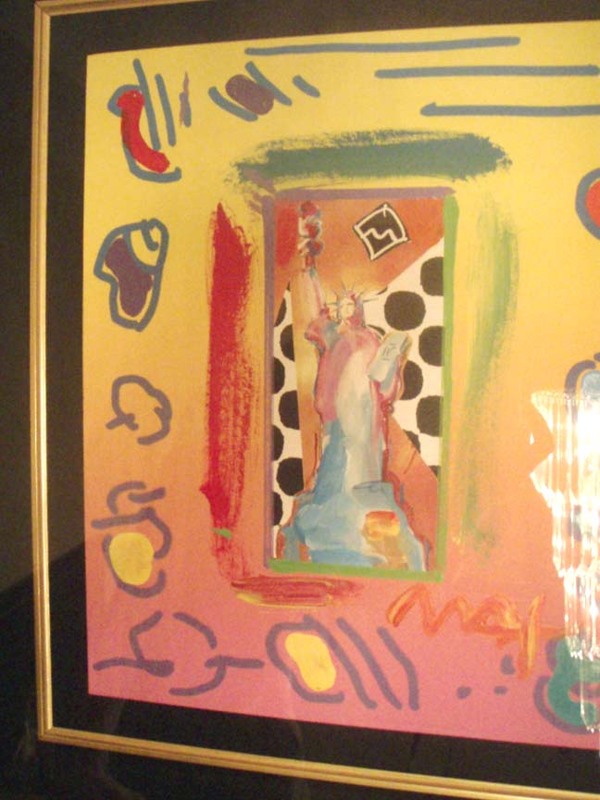 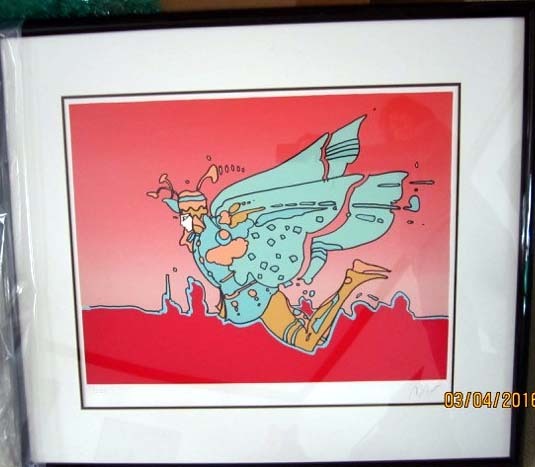 19 1/2" x 23 7/8"
Framed Size: 26-1/2" x 30-1/2"
Portfolio cover hand-signed "Earth Day 1990 Peter Max"
Mixed media painting with acrylic and offset lithography on paper.